Between SAT practice essays, ACT practice essays, and college admission essays, C2 Education’s staff see a lot of student writing samples — and a lot of grammar mistakes! Sometimes the mistakes are forgivable — “accomodate” instead of “accommodate” (a mistake even some hotels make on their websites) — but others are much worse grammar offenses that make me long for a real life Grammar Police Unit. I doubt we’ll be deputizing any Grammar Policemen any time soon, so we’ve decided to compile our list of common grammar mistakes that hurt. When you are submitting an essay for a timed test, your readers will be on the look out for simple mistakes AND THEY WILL JUDGE YOU. 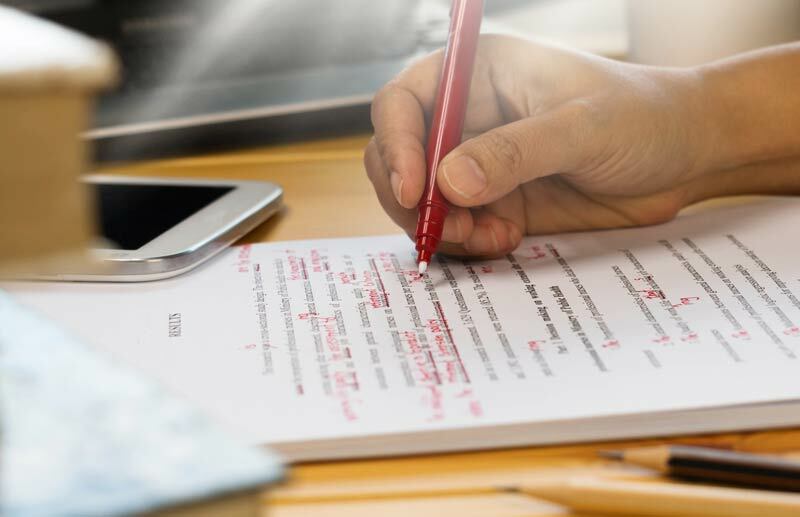 When you are submitting a college admission essay, college admission officers expect said essay to be perfect, and if it’s not, THEY WILL JUDGE YOU. When you are submitting a college application and you make silly grammar goofs, college admission officers WILL JUDGE YOU. And when you submit your resume for your first post-college position, you’d better believe those in charge of hiring WILL JUDGE YOU. With very few exceptions, AFFECT is a VERB and EFFECT is a NOUN. 99% of the time, affect is a verb. You affect your grade when you misused the word “affect”. 99% of the time, effect is a noun. Failing to master the difference between these two words had a negative effect on your grade. Then and than have two different meanings and can change the meaning of the sentence! For example: “I’d rather poke my eyes out then do another algebra problem.” This sentence means that you would like to do another algebra problem after you gouge out your own eyeballs. Perhaps you’re seeking the extra challenge of doing algebra in braille? Another example: “Billy did his homework more quickly than he ate a banana.” Huh? It took Billy less time to do his homework than to eat a banana? Also two different words. Also two different meanings. Confusing these words doesn’t really change the meaning of the sentence so much as it makes your reader question your grasp of word usage. You do not need an apostrophe to make a plural noun. (Okay, there are a few exceptions to this rule, just as there are with all English grammar rules, but they are very, very rare.) If you never, ever use an apostrophe to make a noun plural, you’ll be right 99.9% of the time. “Of” sounds like the contraction of “have”. That’s why is sounds like people are saying “could of”. But when you’re writing, it is ALWAYS “could have” or “could’ve” (which is not acceptable in formal writing, but is still better than using “of”), never “could of”. Never. Someone actually paid to have this sign made. Capitalization is important. When you randomly capitalize things, you confuse your reader. Unless you live in the 18th century, when apparently capitalization rules did not yet exist, stop capitalizing random words. Proper nouns, titles, and the first word in a sentence. That’s it. Okay, so this one is annoying. If all the nouns get to use apostrophes to be possessive, why doesn’t “it”? Because “it” isn’t a noun — it’s a pronoun, like “his” or “hers”. His and hers don’t get apostrophes and neither does its. This is a grammar rule that we KNOW you were taught back in elementary school. When students make this mistake, it really makes readers wonder what other important elementary school lessons have been forgotten. I see this one ALL THE TIME. It doesn’t make students look very good.